These little Cubans are great. I live in Vegas so I have to pack light and these minis are perfect for on the go as well as storing 3 or 4 in a full size cigar tube for my friends and I. The flavor is good all the way through. Not much to relax with but good enough to take a 15 to 20 minute break. Enjoy!! Wow. Got a pack of 100 of these in yesterday and I am impressed. 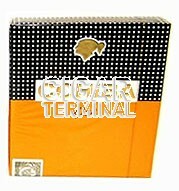 I have been looking for a small cigar to enjoy outside in the winter or when I only have a few minutes of free time--maybe after lunch. The other small cigars I have tried have been harsh, hot, and flavorless. 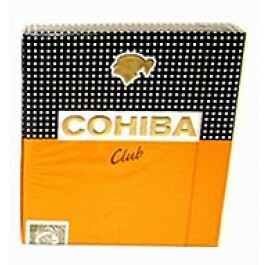 This Cohiba is not only smooth, but the Cohiba flavor comes through almost like a mini Esplendido. I distinctly taste hay and maybe a little creaminess--definitely the Cohiba flavors. And now I don't want to smoke my other Cubans LOL! Seriously, these are amazing value for the money. Highly recommended! These are great smokes while driving. Full flavor like the regular size cigars. This a great little cigar. It's smooth all the way through - woody and notes of hay. Lots of flavor all the way through a quick pleasant smoke! A tip of these imo 70% and anything above humidity is way too much humidity on these they get way too spongy and the construction is not pleasant they almost fall apart. I've been keeping it at 65% and its perfect!